In any circumstance, the death of a loved one is tragic, but when the loss is unexpected, and at the hands of another’s negligent, reckless behavior, the situation may be compounded by extra shock, anger, and disbelief. In the midst of these emotions, it is understandable that legal action may not be at the forefront of someone’s mind, but in the case of wrongful death, it is important to ensure that your legal rights are protected. Family and loved ones may be due compensation for the financial and emotional damages that result from wrongful death. Attorney Edward J. Deason is greatly experienced in California wrongful death suits and can explain who is eligible to file these lawsuits, and what type of compensation may be due. While any of these people are eligible to file a wrongful death suit, it should be understood that, in the state of California, in the case of a wrongful death suit, any damages that are rewarded will be done so as one lump sum. All individuals who may have been involved in the wrongful death suit will then be responsible for determining how that reward will be divided amongst the individuals in that group. What Types of Compensation is Available? 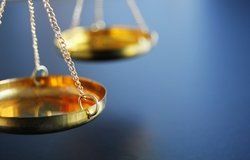 The exact amount and type of financial compensation that may be sought in wrongful death suits will vary based on the specifics of each case. In general, surviving family members and loved ones may be due two general types of compensation, those for damages to the family’s estate, and the personal losses of the loved ones who have been left behind. Potential damages that may be collected as a result of estate loss include funeral and burial expenses, any medical expenses that may have been incurred immediately prior to the death, and loss of income (including potential future income). Personal loss damages that may be collected include compensation for the loss of that individuals household services and the loss of love, comfort, and general support. At the Law Offices of Edward Deason, we understand that no one can take away the pain of a wrongful death. However, during this difficult time, we can guide you through the legal processes in order to ensure that you are given the financial compensation that is both needed and deserved. If you have lost a loved one due to another’s negligent, wrongful actions, contact us at your earliest convenience to discuss the details of your case.